Our beginnings date back to the Spring of 2000. A small group of locals wanted a way to bring all of our locally grown and produced items from the farms into town. Creating a way for the farmer to sell his wares and prosper and a way for the community to take advantage of fresh healthy food seemed like a great idea. July of 2000 was the year it all started. With only a handful of vendors the first week... And so they say, the rest is history. Since that first year we now average almost 20 vendors! Several of our vendors have used the market as a launching pad for their own home-based or retail business. July of 2008 opened up an additional need for fresh garden goods. The Oscoda/AuSable Chamber of Commerce asked us to open up a second market day for their community. The response from shoppers was amazing and immediately proved successful. Our initiative to bring together the two groups of sellers and buyers has always driven us to continue to do more. One of the markets main goals is to educate consumers regarding the importance of fresh produce. Healthy food = healthy people. We strive to help folks learn how they can buy a few food producing plants and feed their own for very little money. 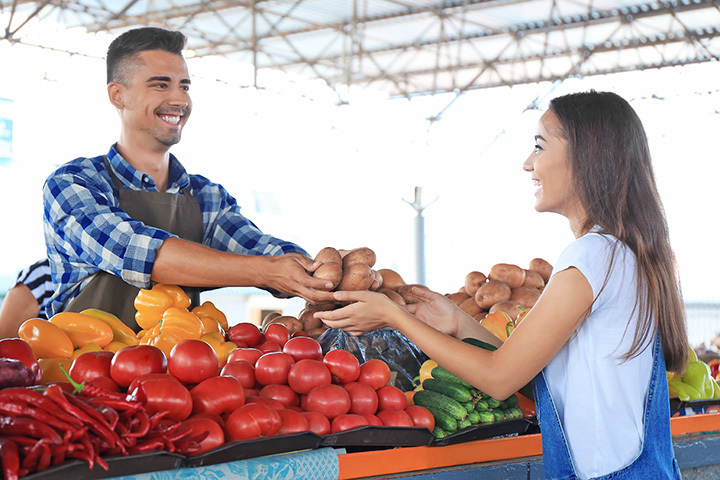 Vendors offer a wealth of information with not only recipes, but also by way of health benefits derived from certain fruits, herbs and vegetables.